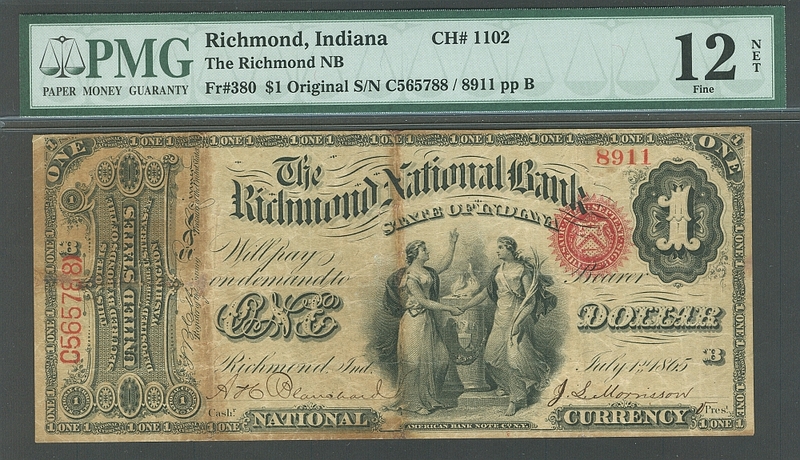 The Richmond National Bank of Richmond, Indiana, Charter #1102, 1865 $1 Original Series, 8911-C565788, Fine+, PMG-12n. A pretty decent note that would grade Very Fine, but for the hard folds and typical "wallet stain" evidence of improper storage. PMG notes "repairs" on the holder, which relate to the professional restoration of mostly margin nicks, expertly done. Still quite appealing with strong ink and the excellent penned signatures of Cashier A. H. Blanchard and Vice-President J. S. Morrisson. This note, from the second bank established in Richmond, is one of only nine notes reported to the census. 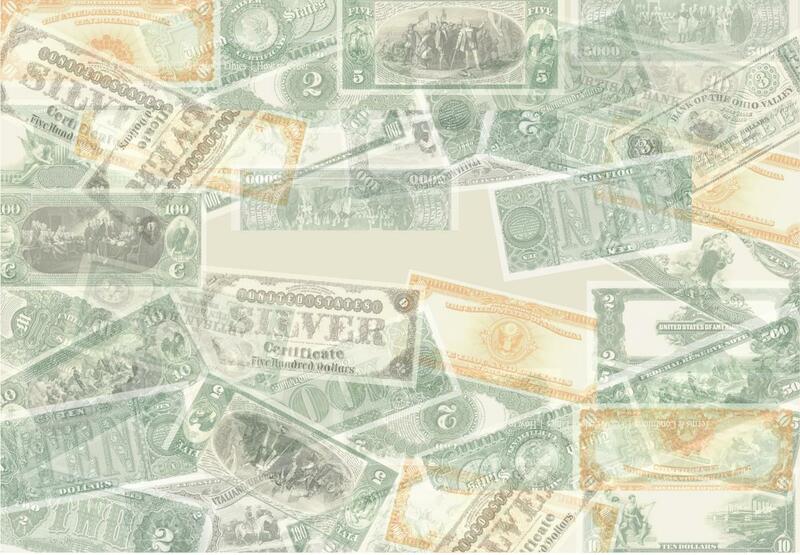 Original Series $1, $2 & $5 notes are the only types issued under this short-lived charter. No fives are known to have survived. Two deuces and seven aces are extant. The deuces and three of the other aces are recorded to have been traded. 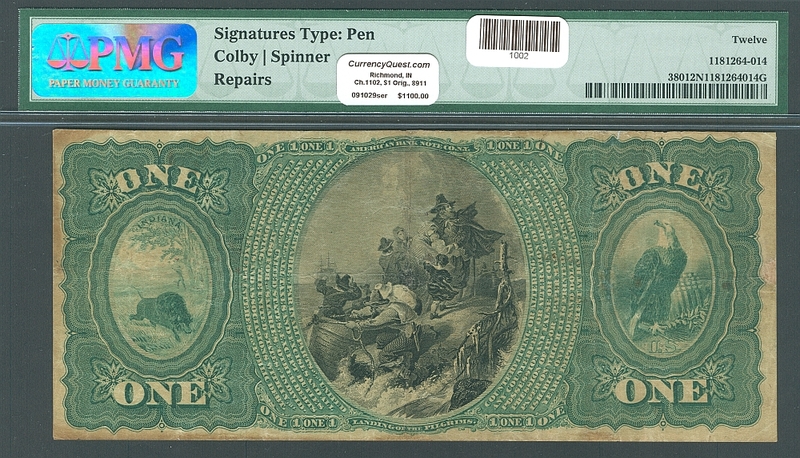 Our note was last sold publicly in the Hickman & Oakes sale of June 24, 1988 (for $275.00). We purchased it directly out of the estate of a late collector and Richmond native.